There are many reasons to be grateful that we don’t live in the 1700s (Reign of Terror, lack of indoor plumbing), but the most important is probably the fact that wine glasses were extremely tiny. Like, little thimbles. According to a study from the University of Cambridge, wine glasses have ballooned in size over the last 300 years, expanding from 66 milliliters (2.2 ounces) to 449 milliliters (15.2 ounces). Shot glasses are just 1.5 ounces! Imagine! You pooped outside; you drank wine from a shot glass. The indignity. Increased drinking since the mid-20th century reflects greater affordability, availability, and marketing of alcohol products, and more liberal licensing has led supermarkets to compete. 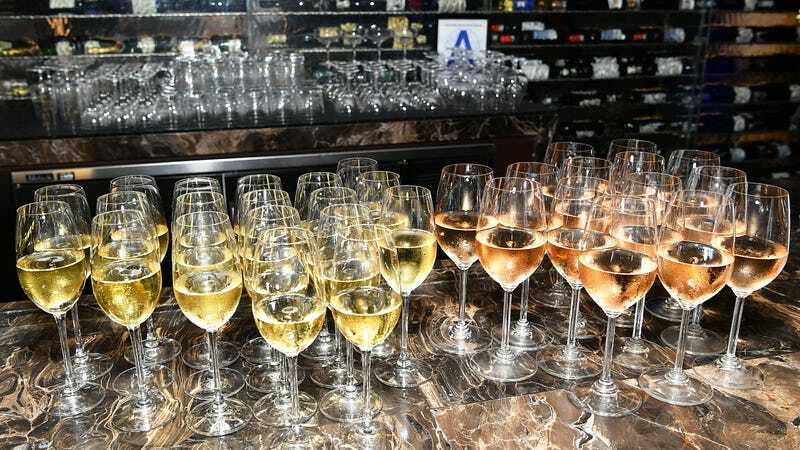 Environmental cues such as the design of drinking glasses—particularly their size—may also have contributed to increased drinking, particularly of wine. Wine glass growth has not, however, been consistent over the course of three centuries. Dr. Zorana Zupan, one of the paper’s authors, told The Guardian that that not only did glass size increase especially rapidly in the 1990s, but wine strength, at least in England, did too. This seems anecdotally correct. As a wine drinker, I visited a bar last week that poured my Sauvignon Blanc into a goblet so massive it made my hand appear miniature; after two glasses I almost fell off the barstool. The study points out that increased alcohol consumption is a leading cause of premature death, but so is stress and outdoor air pollution. Okay then. Say Hello to the Wine Moms of 6000 B.C.